Nodemcu is not just a WiFi module, it also has a decent micro-controller in built. Nodemcu comes with 32-bit Tensilica Processor, Power-Saving Architecture, Compactness, High Durability. In this small tutorial, I will show you how easy it is to add Arduino Support. Select the Preferences under File. Enter http://arduino.esp8266.com/stable/package_esp8266com_index.json into Additional Boards Manager URL’s field under preferences as shown below. Next, Select the Board manager under Tools. Now last step Restart the Arduino IDE and Select the specific Board. 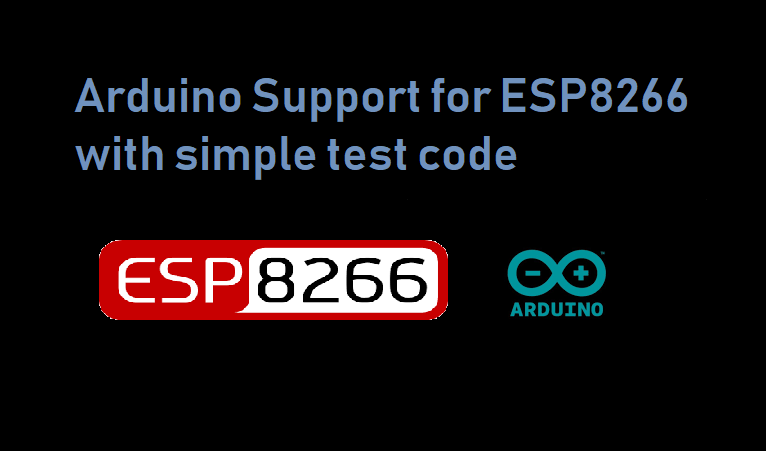 Go to Tools =>Board and select “Generic ESP8266 Module” Now you can use ESP8266 with Arduino IDE. The DHT11 is chosen because it is lab calibrated, accurate and stable and its signal output is digital. Most important of all, it is relatively inexpensive for the given performance. Below is the pinout of the sensor. Click here to download the DHT sensor library. You also need to install the Adafruit Unified Sensor Driver Library. Copy the sketch below to your Arduino IDE. Replace the SSID and password with your own credentials. Open the Arduino IDE serial monitor at a baud rate of 115200. After a few seconds your IP address should appear. Open any browser from a device that is connected to the same router that your ESP is. Then type the IP address and click Enter!, Now you can see temp and humd in browser.